Innisfree introduces a varied range of Jeju Life Perfumed Hand Creams to give you hands, you can't stop looking at. These creams, loaded with abundant moisture, leave your hands feeling soft and nourished without making them feel greasy or sticky. 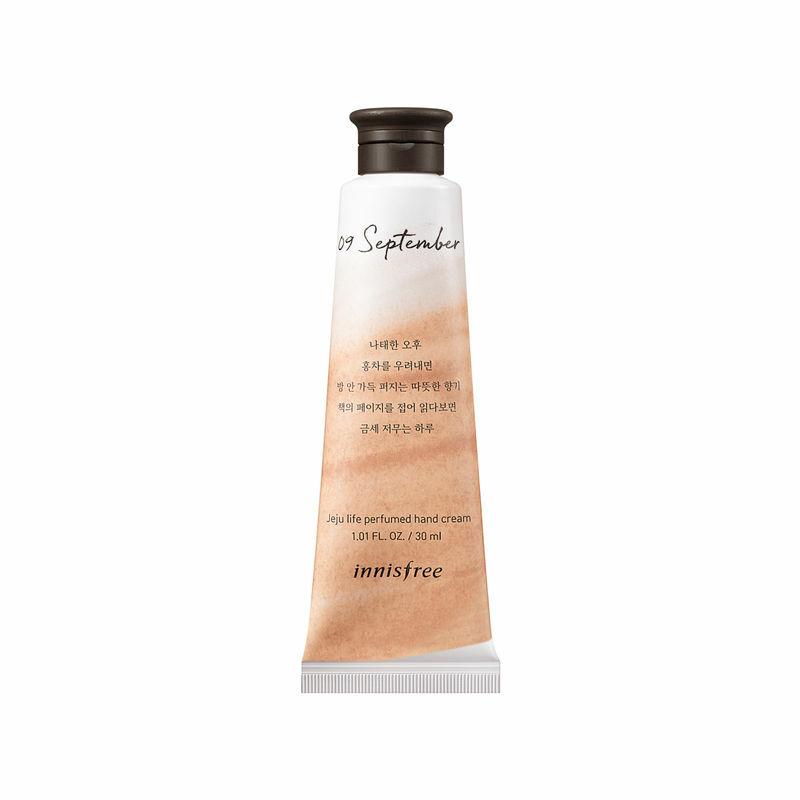 Black Tea is a hand cream of relaxing atmosphere from Jeju life with book and a cup of tea.